Whether you need to find a way to light a small studio with low ceilings, or you need to illuminate a 2,500 sq. 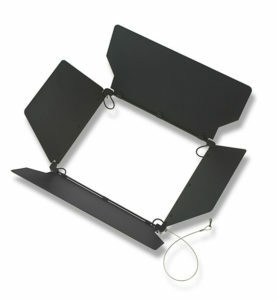 ft. studio – there is a Rosco Silk LED soft light that fits your space and your budget. Rosco Silk LED fixtures have been chosen to light broadcast studios all around the world. 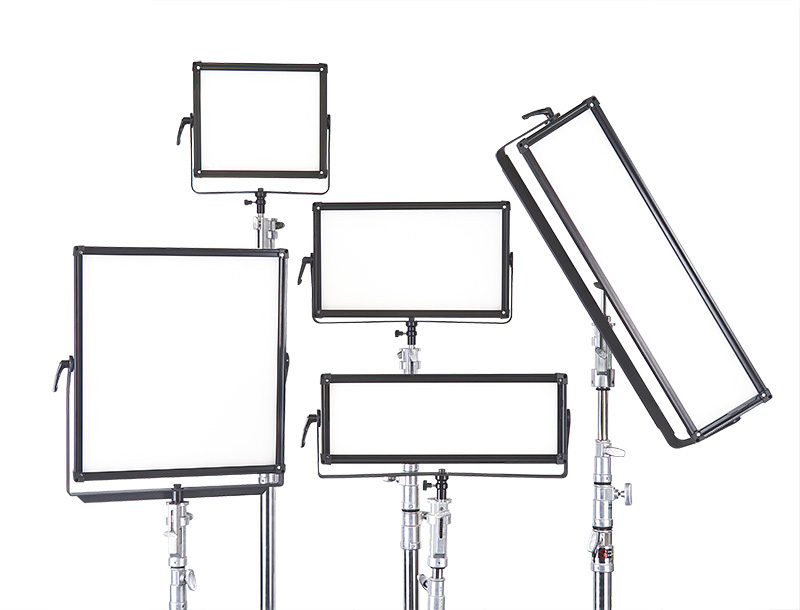 Available in five different sizes, the Silk family of LED soft lights provides broadcast professionals uncompromising light output coupled with a wide variety of control options. All Rosco Silk fixtures provide broadcasters enticingly soft, full-spectrum white light that gently embraces its subjects and renders perfectly on camera. Utilizing proprietary, state-of-the-art, tungsten & daylight balanced LEDs, all Silk LED fixtures produce TLCI, CRI and R9 metrics in the high 90’s throughout the fixtures’ entire color temperature range: 2800K – 6500K. Rosco Silk fixtures feature a non-glare diffuser to remove the specular highlights of the LEDs and provide a uniform, single-source light. A full suite of optional beam control accessories, including barn doors and magnetic egg crate louvers, are also available. Silk LED lights also feature multiple control options, enabling broadcasters to match the performance of other lights they are controlling in the grid. Rosco Silk LED fixtures feature three DMX modes: Standard DMX and Wireless DMX via LumenRadio – both in 8-bit and 16-bit resolution – and Silk-As-Master mode that enables one Silk fixture to control other Silks on set – a useful feature for small studios that don’t have a control console. Rosco Silk fixtures also offer a choice of four dimming curves: Linear, Square Law, S-Curve, and Tungsten. The Silk 110 and 210 are the two fixtures that studios are choosing as they convert from hot, energy-consuming tungsten fixtures to cool-running, energy-efficient LED. 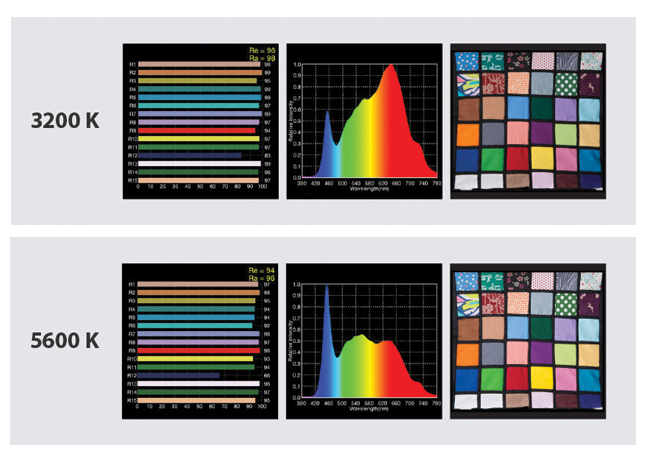 When looking at output, the 210 provides the same output as a 1K fresnel with heavy diffusion, while the 110 is equivalent to a heavily diffused 750W fresnel. These two models are also popular for ENG/interview setups due to their compact and lightweight form factor, and their ability to run on standard Anton/Bauer and V-Mount batteries. Broadcast facilities are converting untraditional spaces, such as conference rooms, offices and control rooms, into intimate studios. This trend often means needing to find a way to effectively light areas with low ceiling heights. 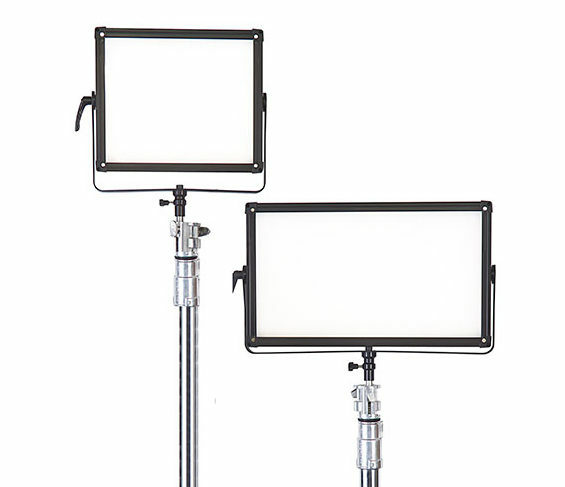 Both the Silk 205 and 305 models are under 9.5” high – this includes the yoke – providing more available height than traditional 1×1 LED lights. The 305 unit also features a centered mount that allows installation via a Baby Plate instead of the yoke for even greater head clearance. 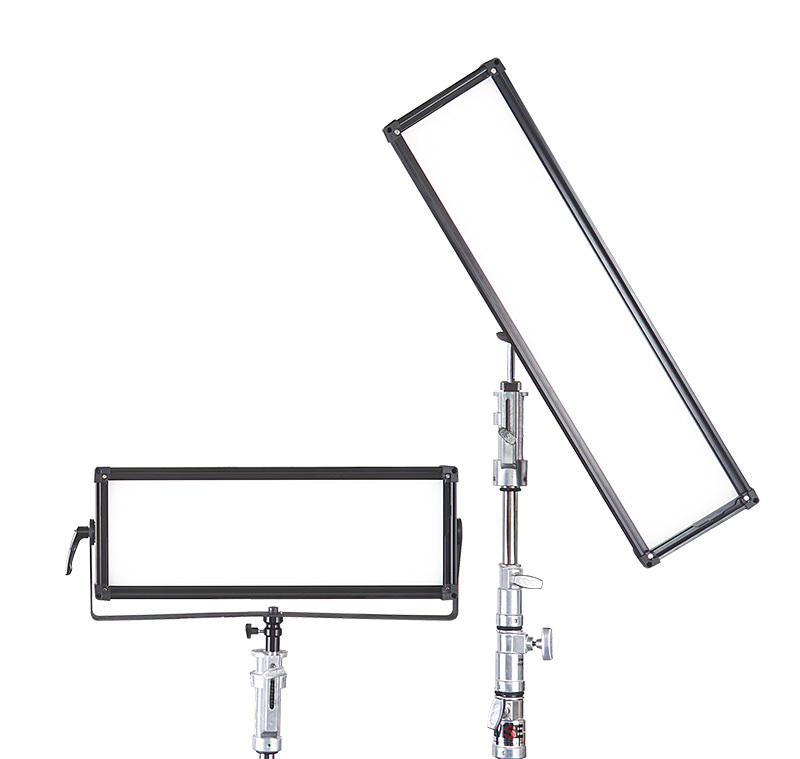 Featuring an output of over 6600 Lux (at 5600K @1m), the Silk 220 is an excellent key light choice for large studios. 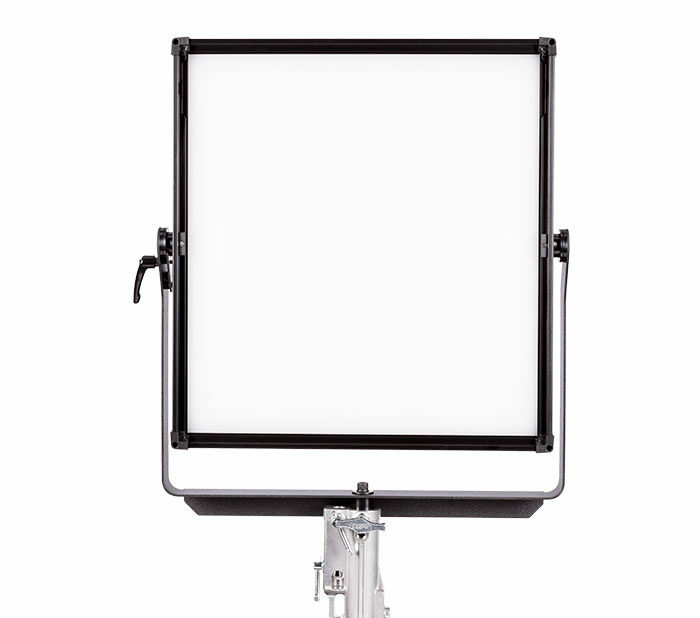 If your studio needs bright, soft illumination – this is the fixture to choose. Click above to visit the Rosco website for more information about the Silk Family of LED soft lights – including all of the available Silk kits and accessories, technical specifications, videos and product documentation. The above column is sponsor-generated content from Rosco. 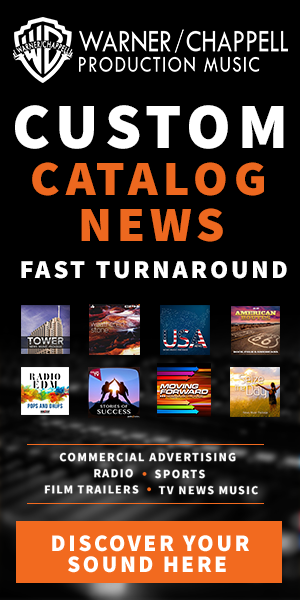 To learn more about sponsor-generated content, click here.